I used some of my wildflower painting designs as embroidery motifs for a set of napkins while stitching as a passenger – travelling home to Western Australia. 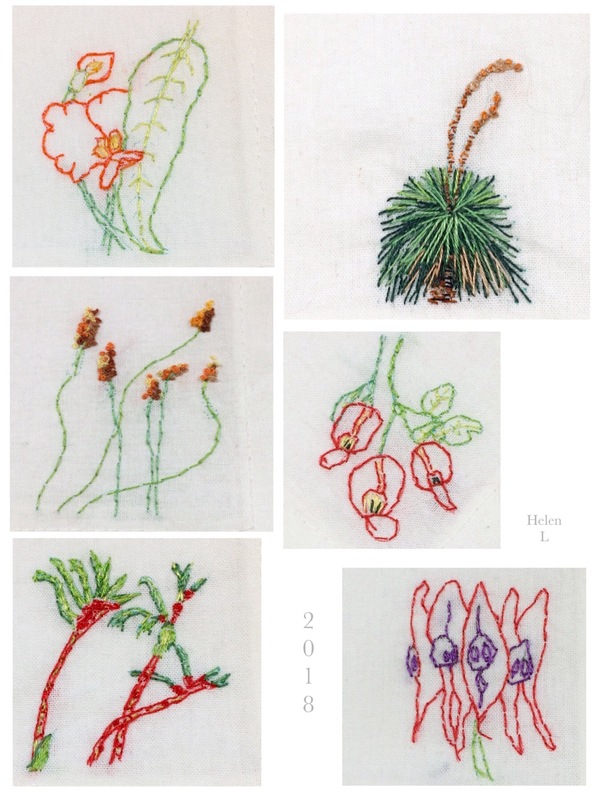 This entry was posted in All Posts, Art of a Different Kind?, Embroidery and tagged Embroidery, Grasstree, Helen Lock, Red and Green Kangaroo Paw, Running Postman, Stitch Art, Sturt Desert Pea, Western Australia, Wildflowers At Balligar, Yellow Eyed Flame Pea on June 9, 2018 by Helen. The colourful Red and Green Kangaroo Paw, Anigozanthos manglesii, is the floral emblem of Western Australia. 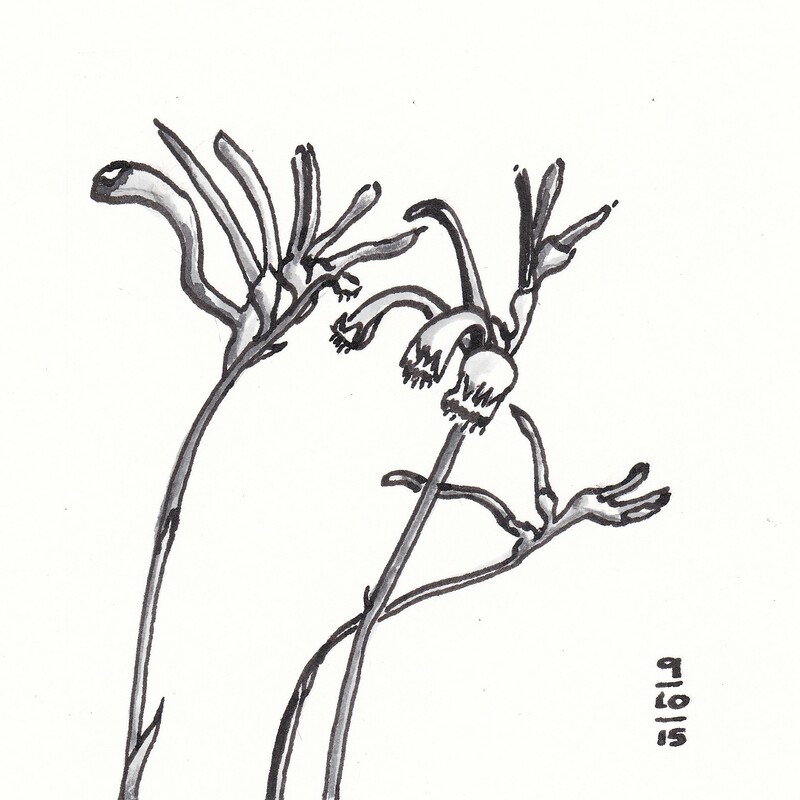 This entry was posted in All Posts, Inktober 2015, Sketches and tagged #Inktober 2015, Ink, Pen, Railway Reserves Heritage Trail, Red and Green Kangaroo Paw, Sketch on October 9, 2015 by Helen. Art of a Different Kind? Yay! She Will Live On!